Approximated formula based on common species regarded as 'biotite'. A slash in the formula indicates different elements can occur in this position but without assumption on priority. Named in 1847 by Johann Friedrich Ludwig Hausmann in honour of the French physicist, mathematician, meteoriticist, astronomer, and mineralogist, Jean-Baptiste Biot [April 21, 1774, Paris, France - February 3, 1862, Paris, France], who studied the optical properties of the micas. 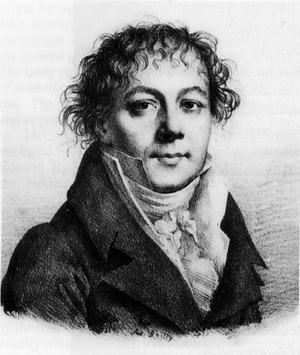 Biot and his associate, Félix Savart, discovered that an electric current in a wire produced a magnetic field. Biot received many awards in his lifetime in recognition of the value of his scientific researches. A series or subgroup of the Mica Group. 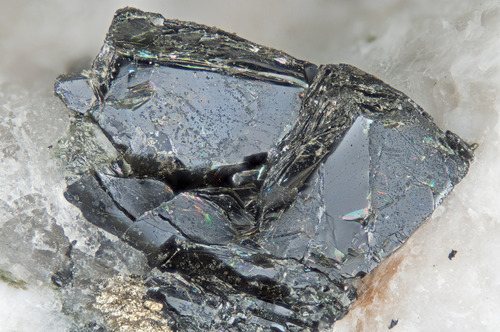 The CNMMN Subcommittee on Nomenclature of the Micas (1998, 1999) has recommended that the name biotite be used for a series between the joins Annite-Phlogopite and Siderophyllite-Eastonite, and is therefore no longer to be regarded as a species name. Fluorophlogopite and Fluorotetraferriphlogopite should be included. The name is most commonly used for the micas on the Fe-rich end of the series, including Annite, Fluorannite, Tetra-ferri-annite and Siderophyllite. The name "biotite" is also used as a generic field term for any incompletely analysed dark mica. Rock-forming biotite may be confused with stilpnomelane. Paleoarchean to Quaternary : 3366 Ma to 1.34 ± 0.05 Ma - based on 224 recorded ages. Anomite Mica group. An anomalous (hence the name) variety of "biotite" which has its optic axial plane perpendicular to (010). Barian-Titanian Biotite A barium- and titanium-bearing biotite mica. Chrom-Biotit A Cr-bearing variety of biotite. Chromian Biotite A Cr-bearing variety of biotite. Eastonite (of Winchell) A name for the Biotite end-member. Heterophyllite Designation for a uniaxial biotite from Mangualde, Portugal. Manganophyllite A Mn-rich variety of Biotite. Originally described from Harstigen Mine, Pajsberg, Filipstad, Värmland, Sweden. Mg(T) Mica An Aluminium-poor Biotite group mica. Oxybiotite An oxidized biotite (?). Name not mentioned in the mica report. Rubellan Oxidized and dehydrogenated Biotite. Titanbiotite Ti-bearing variety of biotite; occurs in volcanic rocks. Parry, W.T. and Nackowski, M.P. (1963) Copper, lead, and zinc in biotites from Basin and Range quartz monzonites. Economic Geology: 58: 1126-1144. Wones, D.R. and Eugster, H.P. (1965) Stability of biotite: experiment, theory and application. American Mineralogist: 50: 1228-1272. Dodge, F.C.W., Smith, V.C., and May, R.E. (1969) Biotites from the granitic rocks of the central Sierra Nevada batholith. Journal of Petrology: 10: 250-271. Lovering, T.G., Cooper, J.R., Drewes, H.D., and Cone, G.C. (1970) Copper in biotite from igneous rocks in southern Arizona as an ore indicator. USGS Professional Paper 700-B: 1-8. Giardini, A.A., Hurst, V.J., Melton, C.E., John, C., and Stormer, J. 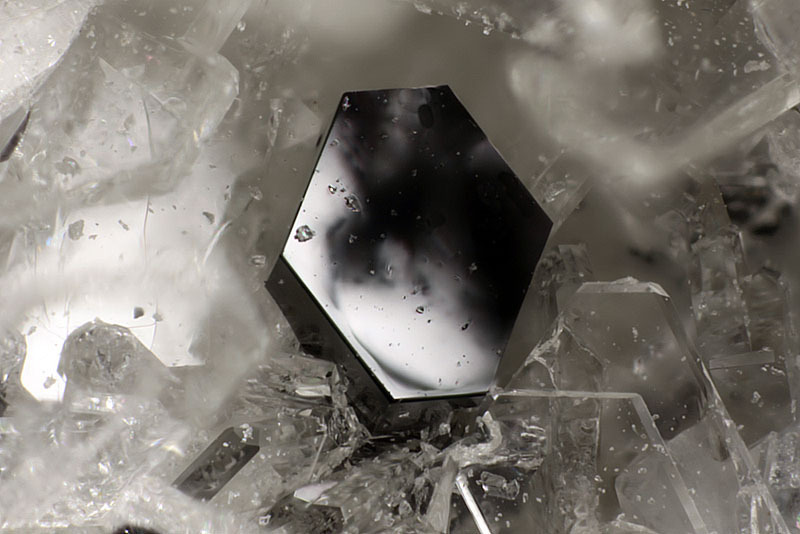 (1974) Biotite as a primary inclusion in diamond: Its nature and significance. American Mineralogist: 59: 783-789. Kesler, S.E., Issigonis, M.J., Brownlow, A.H., Damon, P.E., Moore, W.J., Northcote, K.E., and Preto, V.A. (1975) Geochemistry of biotites from mineralized and barren intrusive systems. Economic Geology: 70: 559-567. Rehrig, W.A. and McKinney, C.N. (1976) The distribution and origin of anomalous copper in biotite. Mining Engineering: 27, 68 pp. Neiva, A. (1981) Geochemistry of hybrid granitoid rocks and of their biotites from Central Northern Portugal and their petrogenesis. Lithos: 14: 149-163. Ohta, T., Takeda, H., and Takéuchi, Y. (1982) Mica polytypism: similarities in the crystal structures of coexisting 1M and 2M 1 oxybiotite. American Mineralogist: 67: 298-310. Dymek, R.F. (1983) Titanium, aluminium and interlayer cation substitution in biotite from high-grade gneisses, West Greenland. American Mineralogist: 68: 880-899. Banfield, J.F. and Eggleton, R.A. (1988) Transmission electron microscope study of biotite weathering. Clays and Clay Minerals: 36: 47-60. Abdel-Rahman, M.A. (1994) Nature of biotites from alkaline, calc-alkaline and peraluminous magmas. Journal of Petrology: 35: 525-541. Nijland, T., Verschure, R. and Maijler, C. (1994) Catalytic effect of biotite: formation of hydrogarnet lenses. Comptes Rendus de l'Académie des Sciences (Paris): 318: 501-506. Rieder, M., Cavazzani, G., D'Yakonov, Y.S., Frank-Kamenetskii, V.A., Gottardi, G., Guggenheim, S., Koval, P.V., Müller, G., Neiva, A.M.R., Radaslovich, E.W., Robert, J.-L., Sassi, F.P., Takeda, H., Weiss, Z., and Wones, D.R. (1999) Nomenclature of the Micas. Mineralogical Magazine: 63: 267-267. Li, G., Peacor, D.R., and Essene, E.J. (1998) The formation of sulfides during alteration of biotite to chlorite-corrensite. Clays and Clay Minerals: 46: 649-657. Ibhi, A. and Nachit, H (2000) The substitution mechanism of Ba and Ti into phyllosilicate phases: the example of barium-titanium biotite. Annals of Chim. Sci. Mat. 25, 627-634. Shabani, A. and Lalonde, E. (2003) Composition of biotite from granitic rocks of the Canadian Appalachian orogen: a potential tectonomagmatic indicator? Canadian Mineralogist: 41: 1381-1396. The following Biotite specimens are currently listed for sale on minfind.com. Showing 18 significant localities out of 12,563 recorded on mindat.org. [Fluorannite] Shen Ganfu, Lu Qi, and Xu Jinsha (2000): Acta Petrologica et Mineralogica 19(4), 356-362. [Oxyphlogopite] Chukanov N.V. et al. : Oxyphlogopite, K(Mg,Ti,Fe)3[(Si,Al)4O10](O,F)2, a new mica-group mineral // Zapiski RMO (in press). 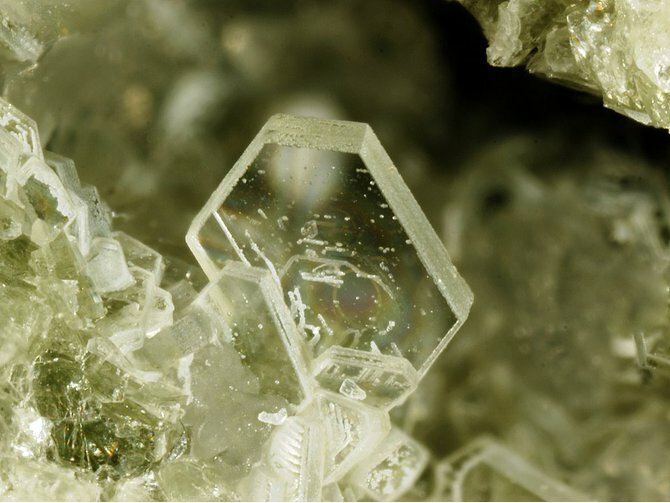 [Fluorophlogopite] Antonio Gianfagna, Fernando Scordari, Simona Mazziotti-Tagliani, Gennaro Ventruti, and Luisa Ottolini (2007) Fluorophlogopite from Biancavilla (Mt. Etna, Sicily, Italy): Crystal structure and crystal chemistry of a new F-dominant analog of phlogopite. American Mineralogist, Volume 92, pages 1601–1609. - Sicurella, G., Ciriotti, M.E., Gianfagna, A., Mazziotti-Tagliani, S., Blass, G. (2010): Minerali di Monte Calvario, Biancavilla (Catania, Sicilia). Micro (località), 2/2010, 329-368. [Tetraferriphlogopite] World of Stones 95: 5-6, 64.; Rimskaya-Korsakova O.M. and Sokolova E.P. (1964) ZVMO, 93(4), p.411 (in Rus.). ; Jambor, J.L. and Roberts, A.C. (2001) New mineral names. American Mineralogist: 86: 197-200. [Siderophyllite] Minerals of Colorado (1997) Eckel, E. B.
Ague, J. J. (1995): Deep Crustal Growth of Quartz, Kyanite and Garnet into Large-Aperature, fluid-filled fractures, northeastern Connecticut, USA. Journal of Metamorphic Geology: 13: 299-314. [Annite] Dana (1868), A System of Mineralogy, 5th edition; Dyar, M. Darby and Burns, Roger G. (1986): Miissbauer spectral study of ferruginous one-layer trioctahedral micas (American Mineralogist, Volume 71, pages 955-965). [Fluorophlogopite] Tracy, Robert J. (1991) Ba-rich Micas from the Franklin Marble, Lime Crest and Sterling Hill, New Jersey, American Mineralogist, v76, p. 1683-1693. [Phlogopite] George Robinson & Steven Chamberlain (2007) Gazetteer of major New York State mineral localities. Rocks & Minerals, 82, #6, 472-483.; George Robinson & Steven Chamberlain (2007) Gazetteer of major New York State mineral localities. Rocks & Minerals, 82, #6, 472-483. [Eastonite] The Mineralogy of Pennsylvania; Samual G. Gordon 1922; Pg 119 The Talc Deposits of Phillipburg, N.J. and Easton; Peck, F. B., Trenton 1905 8vo., 26pp Livi, K.J.T. and Veblen, D.R. (1987) “Eastonite” from Easton, Pennsylvania: A mixture of phlogopite and a new form of serpentine. American Mineralogist, 72, 113-125.